After 1900 miles in the car over three days and nearly the entire stretch of the country, I arrived in Phoenix on Sunday night and got ready to spend a week in Goodyear with an eye on the backfields at the minor league complex for the Cincinnati Reds. Monday morning, or afternoon depending on what time zone you are in, I made my way over to the complex for the morning workouts. There’s not always anything noteworthy from the workouts. Sometimes there is, though. On Monday, there wasn’t. When the games rolled around, though, there were a few interesting things that happened. The Double-A and Triple-A squads were staying at home and taking on the Indians, with the A-ball teams heading to the Indians side of the complex. 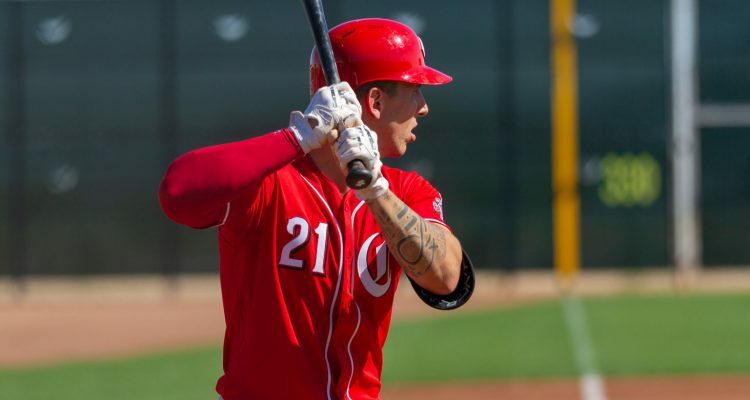 The big thing on the day was that Michael Lorenzen showed up for the Double-A game. He was going to pitch two innings for the Chattanooga Lookouts team, get an at-bat each inning, and then move into center field. On the mound, things didn’t quite go as well as I’m sure he would have hoped. I don’t have the box score for the game, but he struggled. I was going back-and-forth between the two fields at times, so I missed a little bit here and there. What I did see was him allow an RBI triple, and a 3-run home run the next inning. He didn’t complete the second inning on the mound. At the plate, he got to the plate a handful of times. He absolutely smoked one baseball. Unfortunately the right fielder barely had to move to catch the line drive. He grounded out several times during the game. To his credit, he busted it down the line each time. And as I’m sure you know, he’s fast. Made a few of the plays close. In the field he didn’t get truly tested in the field (that I saw). But he did get a few chances and he looked smooth out there. In terms of other players doing things in the games, there wasn’t a ton that stood out. Jose Siri missed a home run by about two feet and it turned a triple. But, it also probably should have been an out. It was a towering fly ball to left field that the outfielder lost in the sun. The ball hit the wall on a fly, while the left fielder stood at the wall about 20 feet away with his hands in the air saying he had lost it in the sun. The highlight of the day was from Luis Gonzalez, who was playing at shortstop with the Double-A team. He ranged deep into the hole to field a ball, then made a long throw from the grass that one-hopped to the first baseman to just beat the runner. It was a very impressive play. 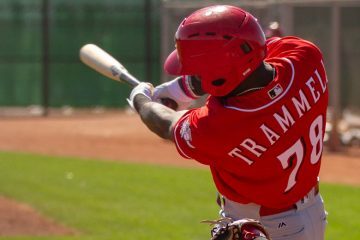 Both Taylor Trammell and Alfredo Rodriguez had interesting doubles in their respective games. Trammell, playing left field for the Double-A Chattanooga squad, went the other way with a ball and hit the third base bag with the ball before it bounced out into the outfield. 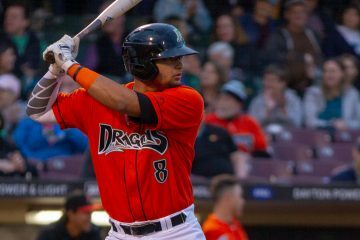 Rodriguez, who started at shortstop with the Triple-A Louisville team, flared a ball just over the first basemans head and hustled out a double in that game. There were a few other non-on-the-field stories that I picked up, too. But I want to follow up on some of those over the next few days. Back to the field today where the Low-A and Advanced-A teams will be playing against Cleveland. As I was typing up this post there were several announcements of players who were released. It’s an unfortunate part of spring training, or well, life in general, to lose your job. 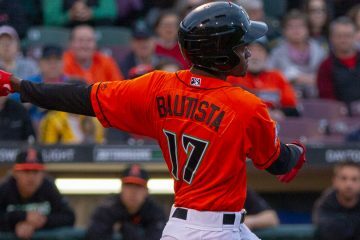 Luis Alecis, Nick Lee, James Dykstra, Kyle Halbohn, Jesse Adams, Logan Taylor, Edward Escoboza, Ricardo Smith, Francis Jones, and Perez Knowles were among the transactions list for players that were let go – listed for March 18th. “Bare with me”? Do we need to strip? I don’t want anyone to BEAR with me. That sounds far too dangerous. Do you hang out at the minor league site most of the day? We will be at Goodyear for games Thursday and Sunday, arriving early enough to take grandkids to the minors complex for an hour or so. If paths cross, would enjoy meeting you. Had a young lady speaking at a convention ask the audience about 95% male to “Bare with me”. She knew she was in trouble when all of us in the front row stood up and removed our sports coats. That was 30 years ago and probably wouldn’t fly today. The Mike Trout extension is big news. Wow. Just wow. Machado $ 300 millions, Harper $ 330 millions, Trout $ 430 millions. I guess for all the noise made, the “colusions rumblings” are pretty quiet right now. And not a single word by the Union on minor leaguers earning less than minimum wage. I still think there’s some collusion going on. Gio Gonzalez just took a minor league deal. With the rooskies? Sorry ,I couldn’t resist. Gio Gonzalez’s contract has a potential value of $12M … doesn’t really scream collusion does it? At this point in spring training, a minor league contract makes a lot of sense. It’s unlikely he’ll be ready for opening day with so little spring training left and not being on the 40-man roster, he won’t have any restrictions on when he can be added to the 25-man roster like he would if he were signed to a ML contract and then put on the DL. He’s also 33 and 1/2 years old coming off his worst season since 2009 showing declining performance in H/9, BB/9 and K/9. We have no idea what kind of contract he asked for, but he has the opportunity to make exactly what he made last year. There have been no credible reports of collusion … only unsupported speculation. As we enter the 2019 season what we’ve seen is that the top players are still getting phenomenal contracts and analytically driven front offices shying away from older players. Trout was going to get paid this much no matter what. Its the Derek Dietrich’s and Jose Iglesies’s of the world that have the legit gripes. Both will likely make the roster, but they should have both secured ML deals. Where the collusion came in is all the teams smartened up at the same time and quit over paying above average players because they bring little value to a team. Rick porcello pitches for Red Sox and makes 20 million a year. His stats are worth the 20 mil but his value doesn’t match that due to being able to use him as a draw for fans. Winning ws offsets that but for every porcello making 20m-there’s price 31m, king Felix 28m, Ryan Zimmerman 25 mil, Cueto 21m, samardjiza 20m, Chen 20 mil. You are better off paying Bruce Harper 50 or 60 million than have 3 of those pitchers above for same money. You can market him even if your teams terrible like trout in LA. Teams figured that out and quit overpaying all at same time- which is sort of collusion imo. Maybe not that strong of a word but super shady for sure bc players were expecting bigger contracts. And that total of money is way more than any total of money minor league players would get a raise. The man sticking it to em ! You’re right Doug, there’s collusion. Proof is Adam Jones only getting 1 offer ($3M from AZ). As an unrelated aside, the new minor league Hitting Assessment/Run Production Coach (Cody Atkinson) would be a good story, because he comes from the college ranks and it would be interesting to know what value/approach he brings, given that unique title, compared to an experienced pro coach and also which players he believes have high upside. Thanks. First of all we don’t know if Adam Jones received one offer. But why is $3 million an under pay for an aging OF who has little value. His WAR last year was 0.5. The Reds didn’t want to pay Billy Hamilton $5 million and his WAR was 1.3. 105 OF with at least 100 AB had a higher WAR than Jones last year. This puts him in the bottom half of #4 OF. In 613 AB last year Jones had a WAR of 0.5. In 247 AB Phillip Ervin had a WAR of 0.4. Ervin was better. In 180 AB Ryan LaMarre (remember him) had a WAR of 0.7. The list goes on and on. Adam Jones of old is worthy of a nice contract. Today’s Adam Jones is lucky to have a starting job. My guess is that by August he will not. Same with Gio. Gio instantly became the 8th best Yankee SP. They didn’t offer him a ML contract because there is a good chance he will never pitch in Yankee Stadium. Stop making so much sense. Agree with the herd or you will be bullied and ridiculed. There is no collusion in so long as Tampa ever has to field a team against New York. Theres your collusion. I think too much noise is made about Adam Jones, CarGo and maybe a few other older FA’s. Guys like Dietrich, Iglesies, and Bud Norris are the ones that felt the squeeze. MLB making some big changes to the Arizona Fall League. It will now start about 3-4 weeks earlier, the players eligible for the League changes drastically, and MLB put an ex-MLB GM in charge of the League. This should make for a more interesting Fall League. Plus teams are likely to offer up more top-100 prospects for League play. More bigger names involved should equal more press and publicity for the AFL during the MLB pennant chase and playoffs. Think this will b made for Scwarber 2.0. Those young guys rehabbing can go play there a couple weeks and be more ready for a portion of playoffs. The news about Luis Alecis surprises me. I thought he had a really strong season in Billings last year. Started year in Dayton and was terrible there. Correlation does not mean causation. Chewing gum sales are up in Chicago and so is the murder total. Doesn’t mean one caused the other. Owners paying less to free agents than the player/agent/fan/sportswriter thinks the player should get does not mean the owners are siting down and discussing free agent contracts and limitations on payments. I have to say that surprised me too. He was good in Dayton in 2017. In stretches the best guy in the pen. Think he might have had some injury issues. 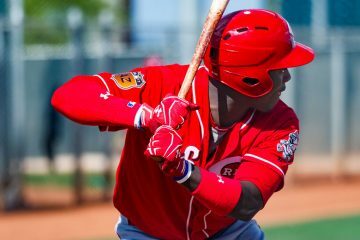 Guys, many of us have been coming to this site for many years and it has proven to be the most reliable and thorough sites for all things Reds minor leagues. Each season I have bumped my monthly Patreon support up and I will once again plus it up by $5. Trips like these out to Arizona show Doug’s commitment to his product and provides us with great insight. However, the cost has to be substantial and I would hope more people would support him. Thank you Doug, I truly appreciate your hard work and dedication. For what it is worth- I created Senzel, Trammel, and Siri as prospects in MLB18 based upon my reviews of each player. The game simulations over 3 years indicate Siri being an All-Star, but both Senzel and Trammel being replaceable. I remember in MVP Baseball2005 Adam Dunn won 5 MVPs and hit .320 when I played 10 years of owner mode.